Product prices and availability are accurate as of 2019-04-19 03:13:26 EDT and are subject to change. Any price and availability information displayed on http://www.amazon.com/ at the time of purchase will apply to the purchase of this product. 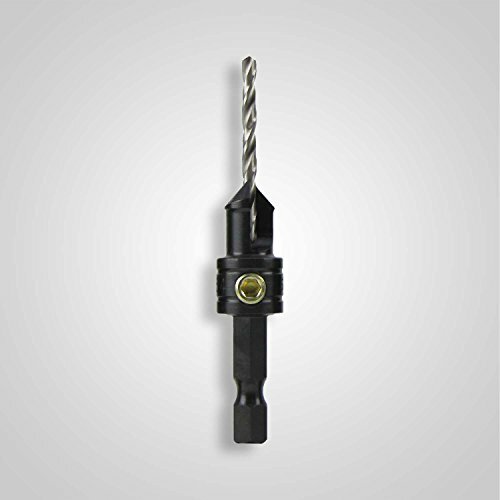 Combination countersink and/or counter bore for standard wood plugs. 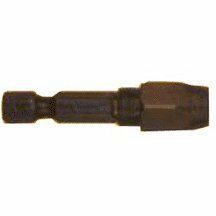 The counter bore size is 3/8" for use on hard or soft wood using a # 6 screw on hard wood or # 8 screw on soft wood. Standard hex shank fits all power bit quick change chucks. Alloy steel & thru hardened for long life - can be resharpened. Your drill will not slip when using large 1/4" socket head screws. Two flute construction for fast & clean chip removal. Made in USA by Snappy.